Tiny Little Houses return with new single ‘Garbage Bin’, a track that will surely be an anthem for the new slacker generation. 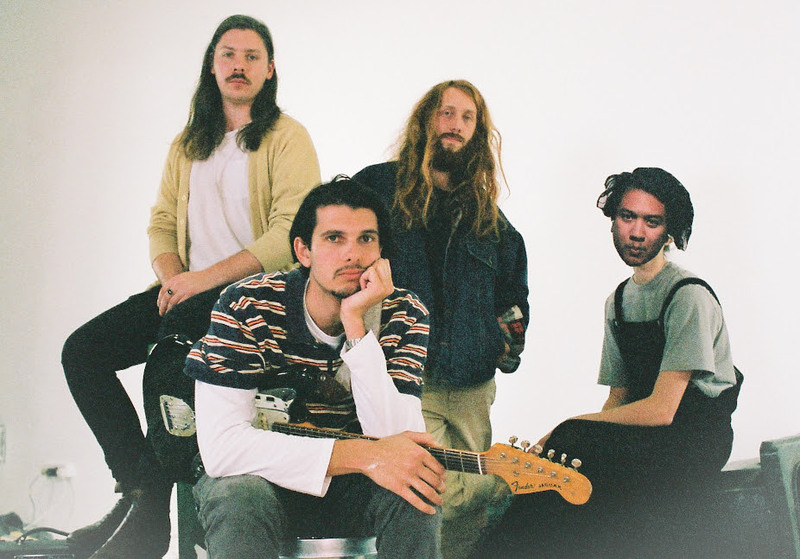 Written while lead singer Caleb Karvountzis was in the midst of final assessment hell and contemplating ditching another degree, the song chronicles the journeys and failures of being twenty something, broke and not meeting your own expectations. Once the bones of the song had formed, Caleb took it to his close friend, the late, great Fergus Miller (Bored Nothing/Wedding Ring Bells). “I went over to my friend Fergus Miller’s place and showed it to him. We arranged and demoed the track, right there and then in his make-shift lounge studio. Tragically Ferg passed away a few short weeks later so it remained unfinished. While the song is packed with cynical reflection, its recording roots has led it to have greater meaning to the band. The accompanying video for the single is a visual translation of the lyrics and was a concept dreamed up by Caleb and directed by up-and-coming Melbourne director Marie Pangaud. To celebrate the release of ‘Garbage Bin’, TLH will be playing some special launch shows in Sydney and Melbourne this August. LAST FROST || Outdoor Concert w/ Violent Soho, Cloud Control + More!